Last night (27 July 2018) was a lunar blood moon eclipse. 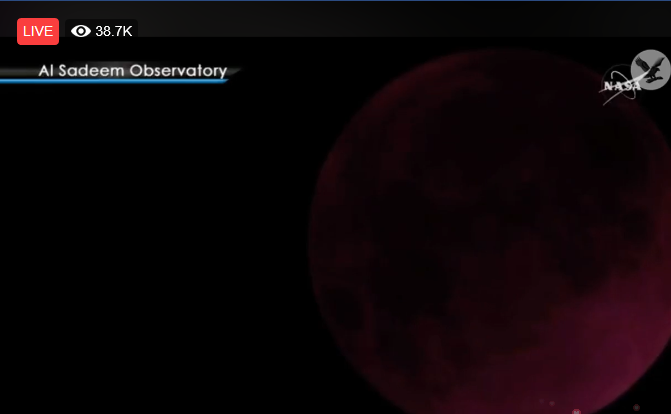 It was significant as it was a long eclipse (1 hour 42 minutes) and one that long won’t happen again until June 2123. While many camped out to watch this spectacular natural event because it looked beautiful, what effect does it have on us spiritually if any? A lunar eclipse (unlike a solar eclipse) is like watching the sunset and sunrise at the same time, and is when the veils between nature and the dimensions around us are all intertwined. The longer the eclipse, the more intense the effects can be. That means blockages that were hazy can be seen clearly, and clarity can arise even if it not welcomed. I’m not an astrologer although I can interpret some elements, but whenever there are strong and sigificant moon phases, many spiritual folks feel the effects. They can be good or bad depending on how you view them, and it can disturb the sleep cycle. Perhaps resolving karmic issues suddenly gains prominence, relationships that were dying may find a resolution, fears are confronted, or acceptance of things that have led to stagnation? Others may welcome the end of a cycle and a new beginning, but with all closures comes either a sense of relief or sadness. In karmic terms when I see a lunar eclipse, I feel that karmic issues are given precedence, in particular adversarial karma. That’s because Karma can only act when the parties involved are ready to learn and accept the lessons involved. The lunar eclipse can accelerate and push events to achieve this. This means karmic issues will be confronted if they have been put off, so consider it a spiritual nudge. With all moon phases, the effects can be felt a few days before and for several days after, therefore, if karmic debt issues are raised during this period, then they will dominate and continue until resolved. In addition there are a number of planets in retrograde; Mercury, Mars, Saturn, Neptune, and Pluto. Generally, a retrograde planet is indicative of past life and karmic issues, therefore if your chart has the same retrograde planet at birth, that is something to take note of, as an issue you wish to resolve or learn from. More significantly, Saturn is in retrograde which is the planet that is associated with karmic issues, therefore coupled with a lunar eclipse the strength is much stronger regardless of whether you have Saturn in retrograde or not as I do! Lunar eclipses to me are always about emotional choices, and more often are associated with selfishness, greed, regret, solace, guilt, and confusion unlike a solar eclipse which is generally one that opens new doors. A lunar eclipse is about closing doors and tying up loose ends that have been dangling, or facing an unpleasant situation or circumstance that has been lingering because it was easier. Some may not need the push of a lunar eclipse to address the karmic issues that they carry, however, more Souls I feel assume they can just wait for Karma to do whatever it is they need to do in terms of rebalancing Karma, but Karma is in fact reactive and a Soul must be proactive too. This is not to say a Soul will be conscious of the acts, but those who rely on Karma to do the work for them will be disappointed and will be waiting a long time. The problem I have seen in recent years is that people struggle to accept the consequences of their actions, always looking to blame someone else or something. When this occurs, Karma is in fact stalled. The lunar eclipse may have been exciting to watch, but the moon is also a time of reflection and to face up to what you really thought or what you wanted to happen, versus what actually happened and how you felt and reacted. Very often we kid ourselves that things are fine when they aren’t, or you thought you did the right thing, when it wasn’t illegal but questionably moral because it’s easier to live with. Uncomfortable truths are something each Soul must learn to confront and address without being pushed and that’s called evolving. It’s an unmasking of the true Soul rather than what you wish others to think about you, or if you have led yourself to believe something because it makes you feel better about yourself. The double action of retrograde planets and a long lunar eclipse is about facing the truth, and to either make amends or to learn acceptance. Karma is hard at work, but the effects won’t be seen fully for a while, for the lunar eclipse held the Karma door wide open, and while some maybe afraid of Karma, there is no need. If you have been honest in your thoughts and dealings then the lunar eclipse will have a minor effect if any. On the other hand if you think you have escaped karmic debts and adversarial karmic acts, and chosen to sweep things under the rug, well this lunar eclipse just pulled that rug away and rolled it up in a corner. Remember, the choices and actions of one can affect a multitude of others in the present and in the future.